The University of Queensland (UQ). The Honourable Mike Ahern AO has contributed to Queensland through his participation in politics, business, philanthropy and community service. Mike was appointed National Party leader in 1987 and served as Queensland Premier for two years. He then demonstrated innovation and entrepreneurship in his shift to business leadership where he advanced Queensland’s interest in technology, energy and financial development. In the social arena he encouraged a culture to support philanthropy, providing a sustainable income stream for Queensland charities. The Honourable Sir Llewellyn (Llew) Edwards AC is a Queensland business leader who has contributed to many fields. 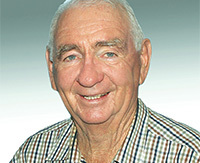 Initially qualifying as an electrician, Llew has since worked in the medical profession as a doctor; in government as the Member for Ipswich, the Minister for Health and Queensland Deputy Premier and Treasurer; and in business as a director of the successful family electrical firm R.T. Edwards & Sons. 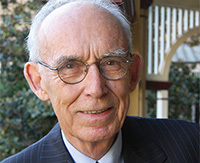 Llew has also contributed to the field of education through his role as Chancellor of The University of Queensland. 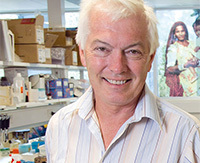 Professor Michael Good AO is a scientist and research director who pioneered the development of vaccines for malaria and streptococcus A, which causes rheumatic fever and rheumatic heart disease and afflicts large numbers of Indigenous Australians. Michael’s work stands to save the lives of thousands of people, not only in Queensland, but throughout the world. Michael has also helped build and maintain the international reputation of the Queensland Institute of Medical Research. Ruth Hegarty is an Elder, author and activist who actively pursued social justice for Indigenous people and has participated in a number of government advisory groups. Ruth has established, operated and supported a range of Indigenous organisations and services. 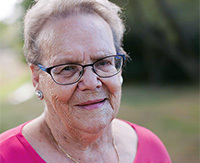 Ruth is also a published writer and known for works that document her personal history as one of the Stolen Generation. The late Dr James Edward (Eddie) Liu OBE OAM was a humanitarian and preservationist internationally recognised as a prominent Chinese community leader in Australia and the driving force in the preservation of Chinese cultural heritage in Queensland. Known as the ‘Father of Chinatown’, Eddie was instrumental in developing Brisbane’s Chinatown precinct from a run-down inner city area into a vibrant, multicultural environment attracting millions of tourists. 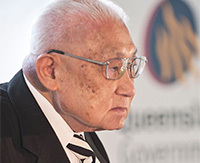 He was a tireless advocate for the less fortunate and the driving force behind many noble initiatives such as looking after the aged, arranging life saving organ transplants for children of under-privileged families, sponsoring gifted students and promoting Chinese language and Asian history through Queensland universities. The University of Queensland (UQ) is one of Australia’s premier learning and research institutions, internationally renowned for its highly awarded teaching staff, world acclaimed researchers and superior campus facilities and services. 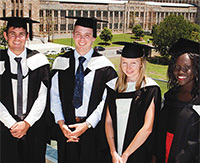 As Queensland’s oldest university, 2010 marked UQ’s centenary celebrations. In the 100-plus years since the university was established, it has delivered teaching and research not only to the people of Queensland, but also from across Australia and the world.